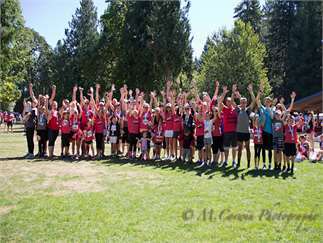 This is the eighth annual running of this unique and popular 5K/10K race on July 20th, 2019. 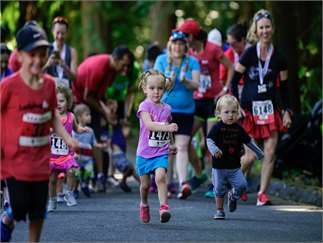 The stroller-friendly race course winds through open green spaces and forested paths along the Tualatin River in Tigard's Cook Park and adjoining neighborhoods to provide a unique and fun running experience. All 5K and 10K finishers get a medal and other race goodies. Out of town on race day? Can't make it to the race, but you still want to help? You can still run your own 5K/10K course wherever you are! Sign up to run a virtual race and you will receive a race bib, shirt, and a medal for finishing your own race on your schedule. Organize a group virtual run and we'll publicize it for you on our website so others can join you. New this year will be a timed 1 mile event! 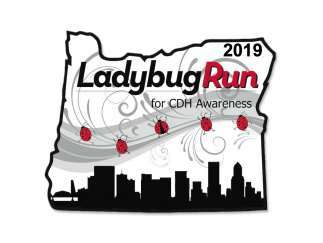 Best of all, the proceeds from the race go to the Ladybug CDH Foundation whose mission is to help raise public awareness, fund medical research, and provide direct assistance to families in the Pacific Northwest with children affected by Congenital Diaphragmatic Hernia (CDH), a potentially fatal congenital birth defect that affects 1 out of 2500 children born every year. The fun doesn't end when you cross the finish line... Race participants and their friends and families are encouraged to stick around and continue their day in the park and enjoy great food and snacks, live music, northwest craft beers, a costume contest, and much more. Register today to get your run on and help us help families whose lives have been impacted by CDH.